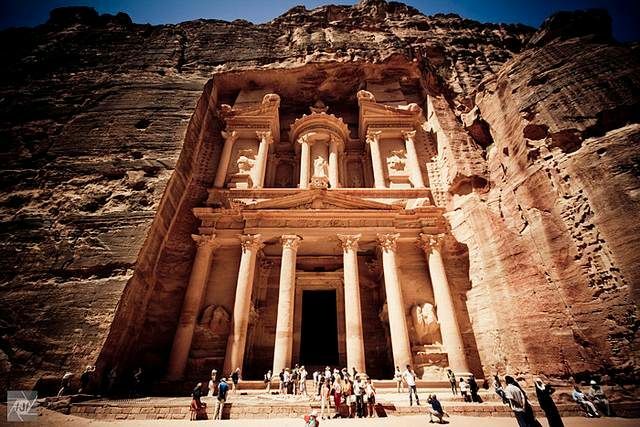 Your Ultimate destination is the astonishing rose red city of Petra. Our Petra 2 day tour from Eilat will offer the ultimate experience in ‘the lost city of Petra’, comprehensively guiding you through its fascinating and tumultuous past. 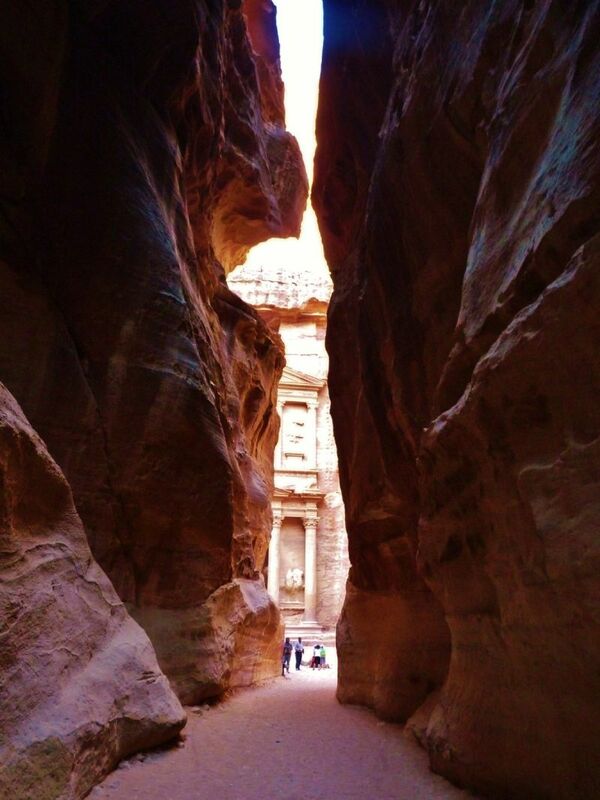 Takes you into Jordan and along the Desert Highway to Petra. 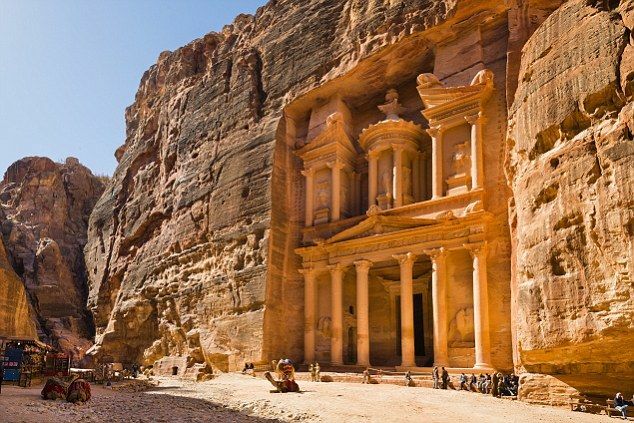 Petra is also known as the rose-red city, a name it gets from the wonderful color of the rock from which many of the city’s structures were carved. The Nabataeans buried their dead in intricate tombs that were cut out of the mountainsides and the city also had temples, a theater, and following the Roman annexation and later the Byzantine influence, a colonnaded street, and churches. On day two, there will be more time to explore Petra, before heading south through Wadi Rum, to Aqaba where you’ll return into Israel. In the late afternoon rejoin the group and head back to Eilat via Wadi Rum. Time permitting take a brief panoramic tour of Aqaba. The moonlike landscape of Wadi Rum is unique in the world. The desert of Rum is dotted with massive mountains, coloured in shades of red, yellow, and orange. Their hues spill over to colour the sand dunes around the desert and the horizon of its breathtaking panorama. Stunning in its natural beauty, wadi rum epitomizes the romance of the desert. Now the home of several Bedouin tribes, Wadi Rum has been inhabited for generations. these hospitable and friendly desert people are settled around the ‘Beau Geste’ Camel Corps Fort in Wadi Rum, and in scattered nomadic camps throughout the area. Transfer from Eilat airport / hotels to Aravah border with our professional team. 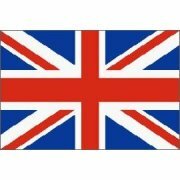 and transfer to Petra. Eat Lunch at a local authentic restaurant. Transport to the hotel in Petra. You can enjoy a free evening in Petra. Wadi Rum has been inhabited for generations. these hospitable and friendly desert people are settled around the ‘Beau Geste’ Camel Corps Fort in Wadi Rum, and in scattered nomadic camps throughout the area. 07:30 Pick up from your accommodation, and transfer to Aravah border with the help of our professional crew. 08:00 Border crossing includes: border control and customs. 09:00 Transfer from the border to Petra in our newest models of air- conditioned vehicles. The Transport time is approximately 2-3 hours, passing through a vast and comfortable deserted highway. Drive through a scenic route on the mountain side, and arriving at Petra's historical site, known as one of the Seven Wonders Of The World. 11:30 The tour of Petra begins at the entrance to the site. Included in your package is an optional horseback riding for the first 200 meters of the route. The ride allows you to taste the unique atmosphere of the place (tipping the carrier is required, ranging from $2- $5 (USD) at your discretion). 16:30 Transport to the hotel in Petra. You can enjoy a free evening in Petra. 08:00 Breakfast at the hotel, and free time to explore Petra and the authentic market. 16:30 We begin our return trip towards the border. 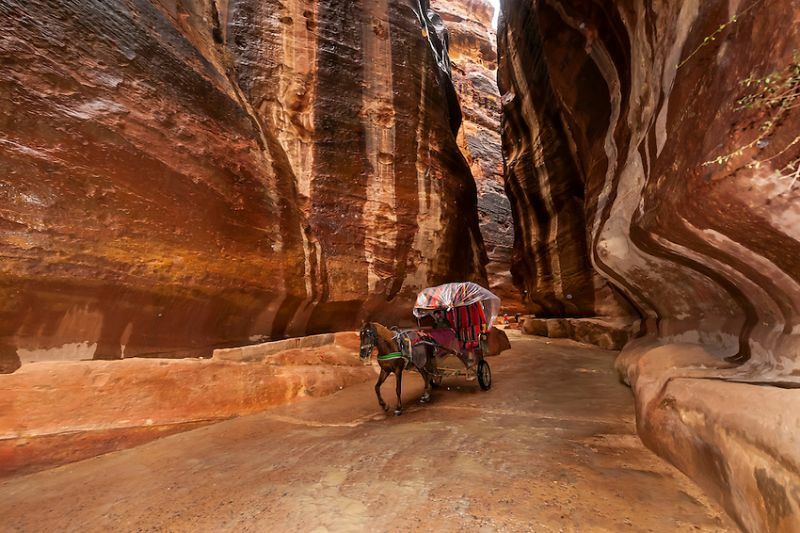 This route includes a few stops along the way at certain observation points, in order for you (the traveller) to enjoy the beautiful landscape Wadi Rum has to offer. 16:30 We begin our return trip back towards Aqaba. This route includes a few stops along the way at certain observation points in order to give you the opportunity to enjoy the beautiful landscape that Wadi Rum has to offer. 19:00 Arrival to the border and return to Israeli territory with the assistance of our crew. 3 Stars Hotel in Petra on BB Pension.